Training now on Mondays and Wednesday at 6pm in McHale Park, we had a match on Monday week last aginst Ballyvary well done to all. Training now on Mondays and Wednesday in McHale park at 6pm, Well done to everyone in what was a busy week with matches in Ballyvary on Monday, Ballina on Wednesday and Ballyhaunis on Sunday,a busy week for all concerned and our thanks to those parents who provided transport to the games. Training continues at 6pm on Wednesday in McHale Park. 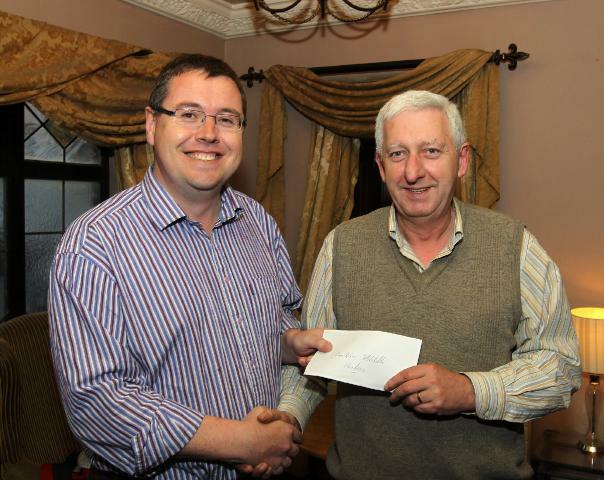 Mark Deely, Deely Opticians, Castlebar presenting sponsorship for 'Hurling on the Green' to Ger Sheridan,treasurer of Castlebar Mitchels Hurling Club. Photo Michael Donnelly. 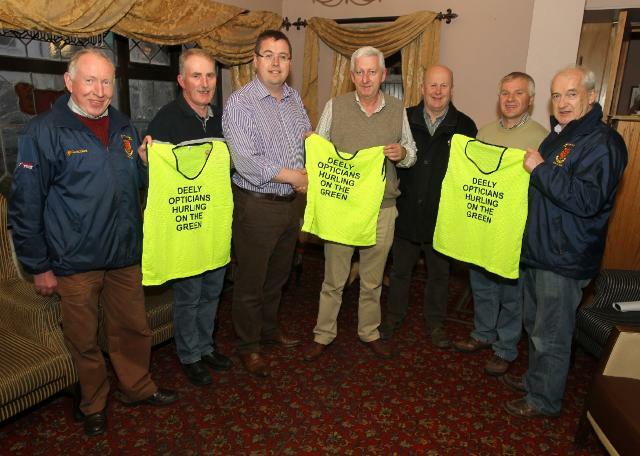 Mark Deely, Deely Opticians, Castlebar, Sponsors of 'Hurling on The Green' with Club members Gerry Lane, Ray Coy, Ger Sheridan, Tony Stakelum, Eugene Connolly, and Paddy O'Brien. Photo Michael Donnelly. 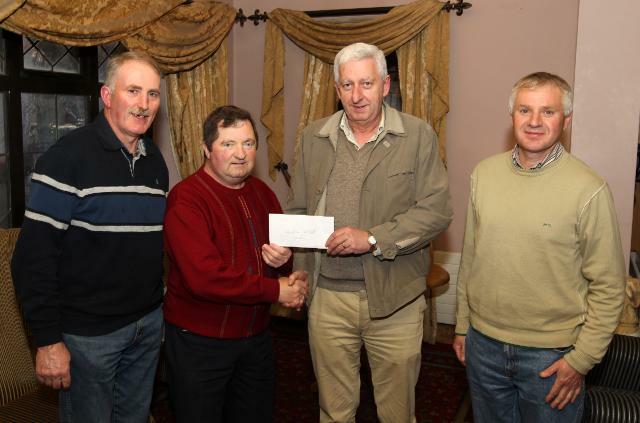 Michael Murray, Castlebar Credit Union presenting sponsorship towards 'Hurling on The Green' to Ger Sheridan, Treasurer of Castlebar Mitchels Hurling Club, with Club members Ray Coy and Eugene Connolly. Photo Michael Donnelly. Lotto took place last saturday night in Rays Bar Castle Street.where Jim o Shea and Anthony Monaghan both won €100, the jackpot however is still intact and moves on Johnny Mchales in 2 weeks time where 2 lucky spinners will try their luck, our thanks to the huge crowd of supporters who are following our lotto, to Philip and Joyce many thanks for hosting the lotto and as always those who bought and sold tickets many thanks. SUPERMACS Castlebar to Sponsor Schools Hurling Coaching. Coaching continues this week in all schools and will continue till Friday 22nd June. Coaching will take place on Mondays and Wednesdays in St. Patricks NS, Tuesdays in Scoil Raifteri, Thursdays in Snugboro NS and Fridays in Breaffy NS. All Classes from second up to sixth class will be taking part in the coaching programme. Again we thank Supermacs for their support in this coaching programme which is going from strength to strength with large numbers now coming to our club training sessions on Mondays and Wednesday at 6pm.